Two Joke Minimum Comedy is back for our 4th Bonkers Yonkers Comedy Show! 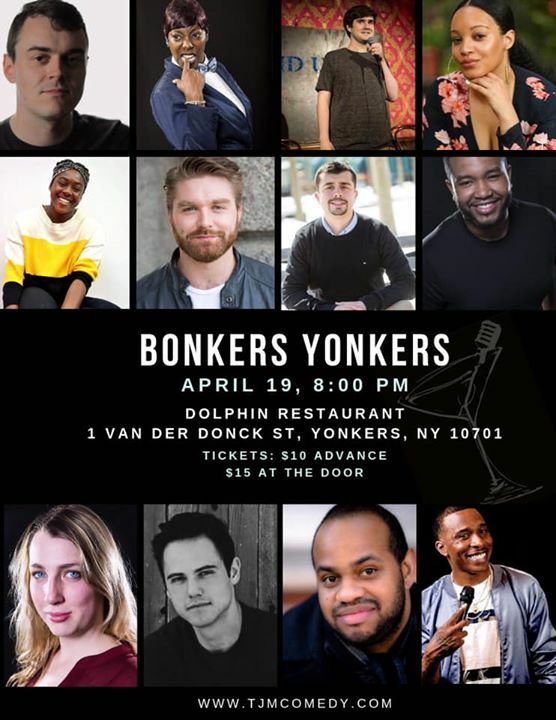 Come out for a great laughs and enjoy some great drinks and food at one of Yonkers Downtown/Waterfront BID’s premier dining destinations, Dolphin Restaurant – Lounge – Bar! $10 cover in advance, $15 at the door. Two Item Minimum (drinks or food).